Jack and Tiger came to us with their sibling, Bubbles and with his mom, Sasha. They were found in a back yard of a Brooklyn home when the kittens were a few weeks old. 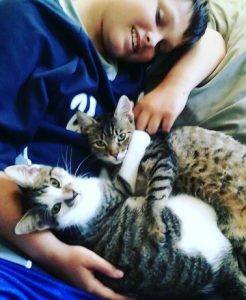 Jack and his brother Tiger were adopted together to the same home by their foster family. They adore each other and their human brother too!